The enchanting and unique Ione Shell for Demi Miche bags is a breath of fresh air for your summer accessories wardrobe. Whether you’re enjoying a leisurely afternoon of upscale shopping in Palm Beach or running weekend errands in your hometown, Ione adds a touch of femininity to any look. 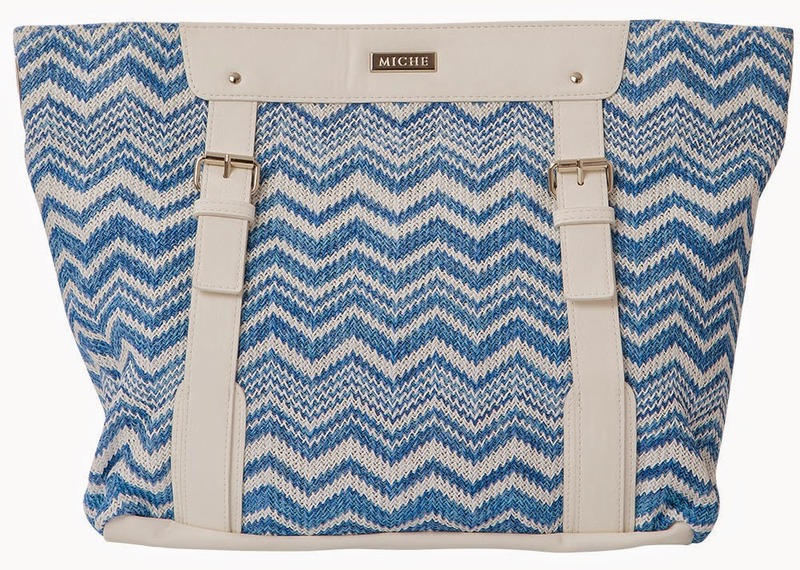 Synthetic weave canvas in a blue and white chevron pattern features white faux leather accent along with front straps and buckle detailing. Rectangle bottom; silver hardware; back zippered pocket.